يقع في تركواى, Wyndham Resort Torquay إنه المكان الأنسب لاكتشاف طريق المحيط العظيم - توركواي و ما يحيطها. يسهل الوصول إلى هذا الفندق ذو 4.5 نجوم من المطار، فهو يبعد عنه مسافة 45 km فقط. 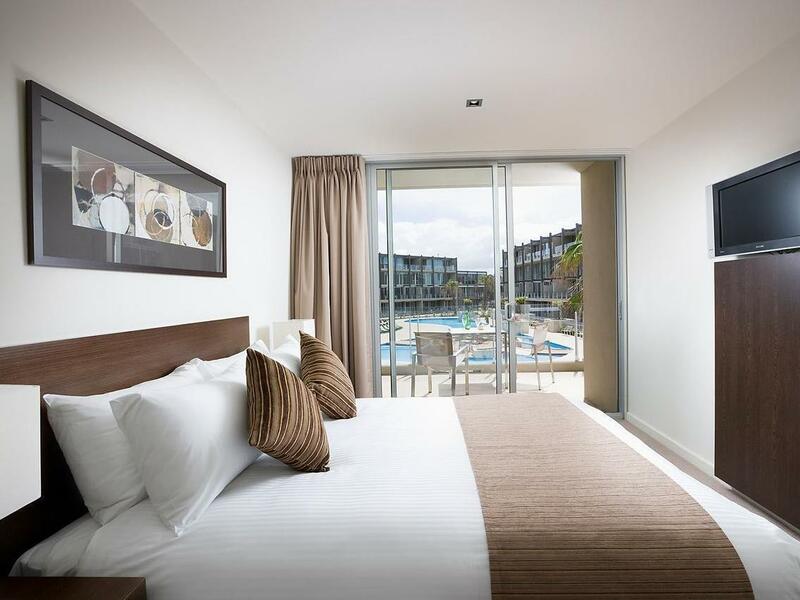 يوفر الفندق بفضل موقعة الجيد وصولاً سهلاً إلى أهم معالم المدينة.
. إن Wyndham Resort Torquay حريص على توفير الراحة للنزلاء، فلا يوفر الموظفون جهداً في تقديم أفضل الخدمات وضمان حسن الاستقبال. يمكن للنزلاء الاستمتاع بالميزات التالية: مرافق مخصصة لذوي الاحتياجات الخاصة, تسجيل وصول/خروج سريع, تخزين الأمتعة, واي فاي في المناطق العامة, صف السيارات أثناء إقامتهم في هذا المكان الرائع. يمكن للنزلاء الاختيار من ضمن مجموعة من الغرف المصممة بعناية لتعكس جواً من الراحة، والتي يتجاوز عددها 107. صممت خدمات الاستجمام في الفندق والتي تتضمن مركز للياقة البدنية, حمام سباحة خارجي, حمام سباحة داخلي, سبا, تدليك لمساعدتك على الاسترخاء والراحة. إن Wyndham Resort Torquay هو خيارك لخدمة الفنادق الراقية في طريق المحيط العظيم - توركواي. يشمل الرسم الإضافي لبطاقات الائتمان ضريبة السلع والخدمات (GST). 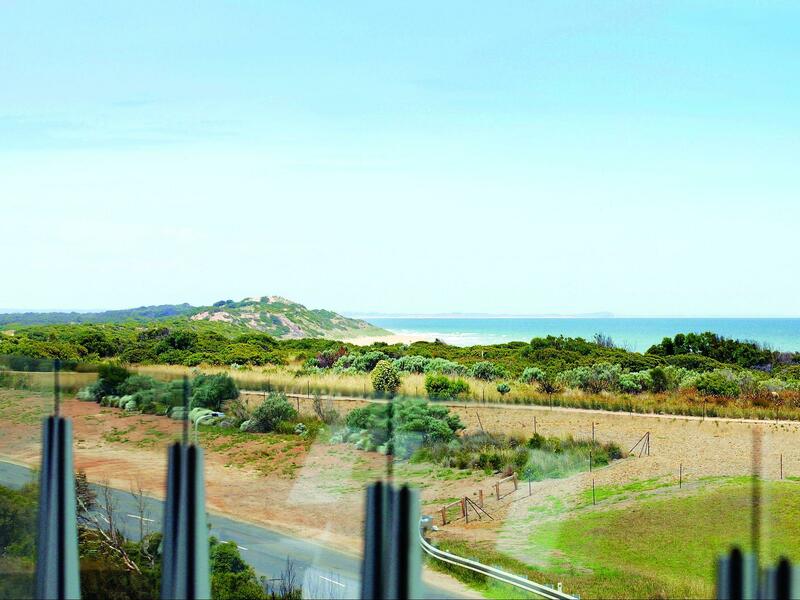 Not far from Melbourne, this resort is situated in the heart of Torquay! You can walk to the beach in less than 5 minutes, you get beautiful views and there is always something to do. 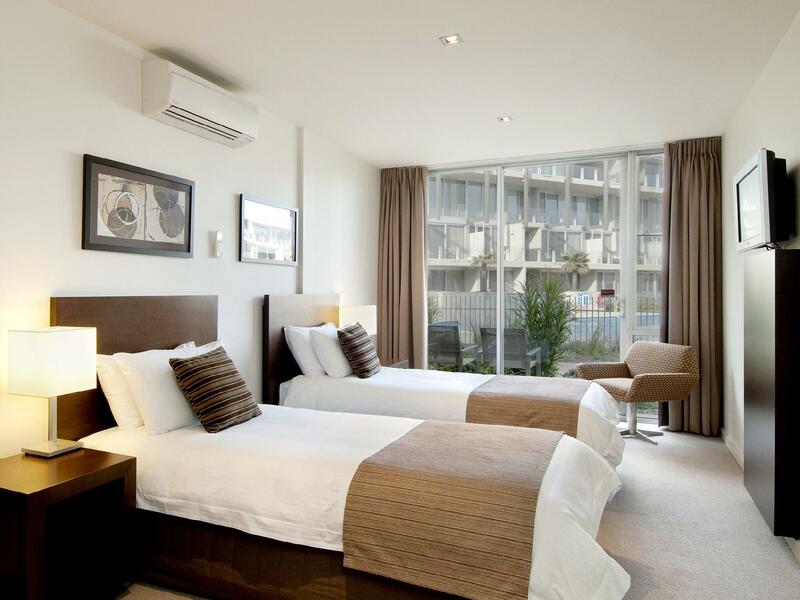 I will mention that the hotel facilities (indoor pool, gym etc.) are outdated and the amenities are limited within the rooms but nothing that can't be worked around. I would visit again, my partner and I had a wonderful time! 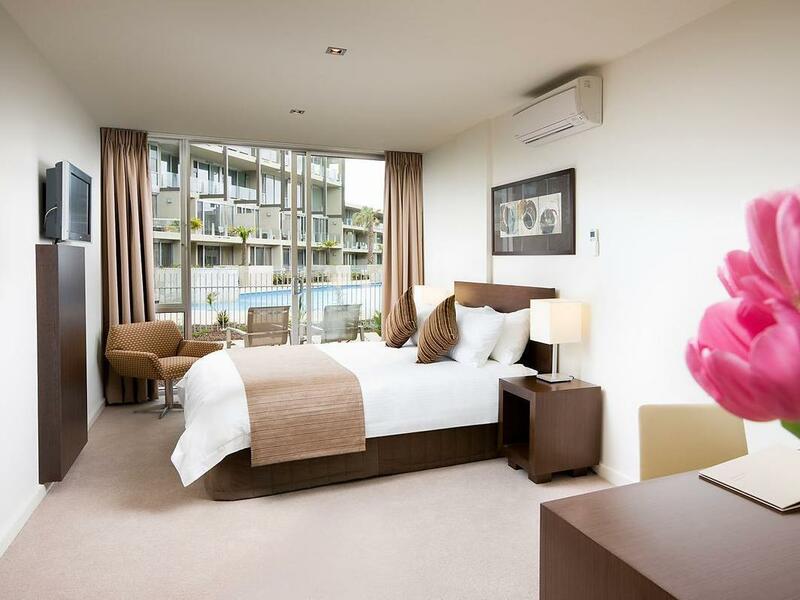 Located in Torquay, the hotel is a perfect place from which you can organise your day trip along the Great Ocean Road. The hotel boasts great sea views too. There are lots of restaurants within walking distance as well. Excellent resort right across the road from the beach. The facilities are 2nd to none, the kids loved the outdoor pool and us adults enjoyed the bar/cafe and the tranquility of nighttime once the kids were asleep! Was a stopover night after the drive from Great Ocean Road, and arrived after usual dinner time. Staff was very helpful in suggesting food places and even helped to call up the restaurant to make sure that they were still open! Pity that we didnt had time to explore and enjoy the facilities of the hotel. My daughter booked a night for the family. Booked an apartment for 4 adults a 5 year old and a 9 month old. When we got there were told that the apartments were booked out and had put us in three separate rooms. Not even together. My daughter had to sleep in one room with her 9 month old and her partner in another room with their 5 year old son but the rooms were on different blocks! My husband and I were a few rooms down from her partner. But my daughter had to sleep in the room on the different block because that was where the cot was for her son. Rooms contained one king bed and a bathroom and a T.V. which was not working after there was a power blackout. Daughters partner rang through to inform TV was not working and was told to turn tv off at plug. TV mounted on wall so was unable to do that. So no TV. Emailed a day before to inform day spa was closed and restaurant closed. So a family holiday ruined and very expensive as she was charged for 3 rooms! The hotel clearly used to be a lot nicer than it is now. The room was fine but the entire establishment needs an upgrade. No restaurant or food on site is pretty poor as it's a decent walk to any restaurant and streets are poorly lit. indoor pool was appealing but when I went for a dip early morning was very disappointed as it was barely lukewarm - really not pleasant on a cold winter's morning. The room was not what l thought it would be, very different to the website. No restaurant/cafe.The spa we couldnt find as there were little children in there so we thought it was a kids pool, once we asked someone at reception they told us to go down at night time or when the kids woudnt be there. Sorry there should be a sign that it is the spa and children shouldnt be allowed there. No massages on site as there is no day spa, but if you look on the website there is. The drain in the bathroom was full of something (hair) and the smell was dreadful. We couldnt have the door open at night for some air as the security screen has no lock on it and we were on the main road. One chair outside our room where others had two and a table. I had a double bed sheet on my bed and it was a single bed so l had to make sure when l got out of bed that l didnt trip on it. Just not what l though it would be according to the website. The tv had some sort of timer on it and kept going off . The staff were very friendly, the room spotless, the location amazing, a little bit pricey, but worth it for a mini break treat for myself and my 2 year old son. We would live here! Our stay here was kicked off by a very welcoming team at reception, who were extremely nice! We were rang in advance to be told the restaurant would be closed for the two nights we were there, which was nice of them, but we arrived to find out that it was actually closed indefinitely, as was the bar. This was a shame, but we were given takeaway menus from reception to order food in. 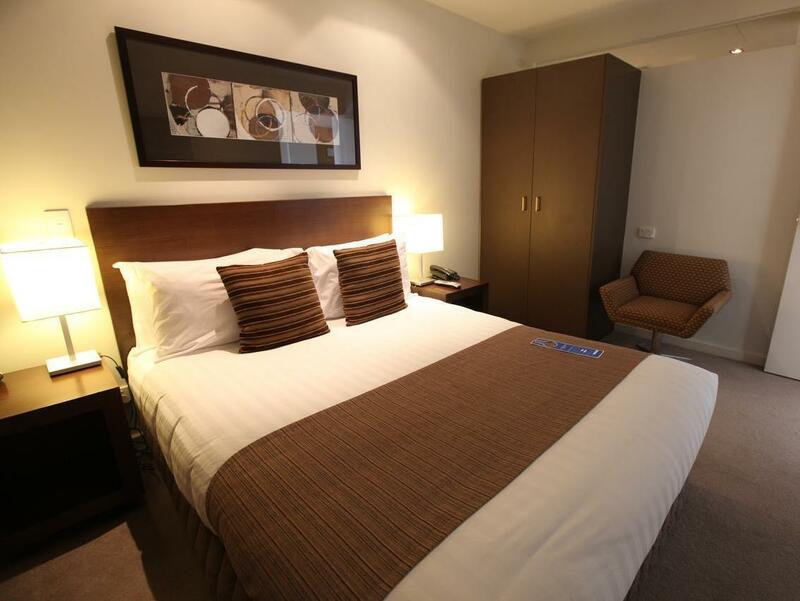 It was great value for location, bed was comfortable, bathroom was massive as well! Nice location across the road from the beach. Hotel has a corporate feel to it. Internet in room is 55 cents a minute (capped at $25 per 24 hours) which is a bit unusual and quite expensive. The outdoor pool is the best feature and the big hot tub is great! We stayed for 2 nights. Everything is as nice as it looks in the photos on the website. I was worried when I saw the spa prices on line, but it turned out to be a lot cheaper with specials and discounts there. A "top-to-toe" package" (foot soak, full massage and facial was an affordable $140. You are given a book of discount vouchers to use in the hotel which had some real savings, including family meal for 4 for $50, free bottle of wine with 2 mains, 2-for-one buffet breakfast for $30, free drink vouchers and more. The day-spa and heated pool are great if the weather turns bad. Fantastic location across the road from the beach. I will definately return. had a wonderful relaxing time. kids absolutely loved the pool, spa & park. staff were extremely helpul & service was excellent. nicely located opposite the beach & within a few minunte drive to shops/restaurants etc. rooms were very nice clean & modern. i would & will reccomend this resort to anyone and everyone. we will definately be back. excellent greets, excellent location, great room. only parking was full on the arrival day, but did not bother us a bit since the public carpark is right at the doorstep anyway. next to the beach. excellent resort facilities. definitely will recommend. Room was very small and looked out over the car park entrance. Recommend pay the extra for the pool facing rooms as far nicer outlook. The pools and grounds are lovely although on edge of town so not huge amount around. There is a cafe on the beach about 5 mins walk and another 5 mins takes you to bowls club which has good food and all welcome. The town is maybe 15 mins walk from the resort along sea front so pleasant enough but not huge choice of restaurants close by and the main strip is maybe 25 mins walk. TV in room very old fashioned and confusing and not in keeping with the modern feel of the place. And no wifi seems crazy when these days even the smallest motels are offering it for free. Parking is also a bit cramped underground and when busy may not be enough spaces. In a town without a great deal of higher end hotels this place is an option. But its expensive for what you get in relation to other locations i feel. 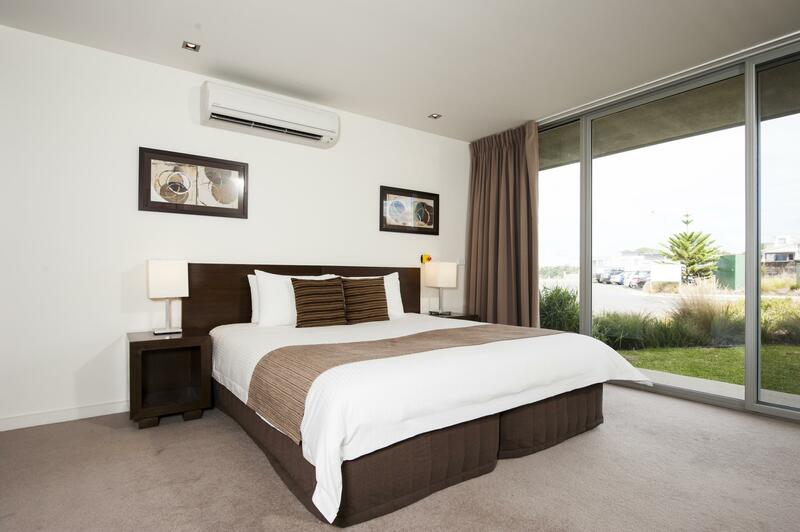 Ordinary accommodation at a high price. I would stay AirBnB next time as there is a lot available. Rooms are good but nothing special and staff are pleasant but not helpful. Resort looked a bit tired and needed some attention . For the price of the room would expect better. Fantastic accommodation. Would love to have been able to stay longer. Will definitely be back.